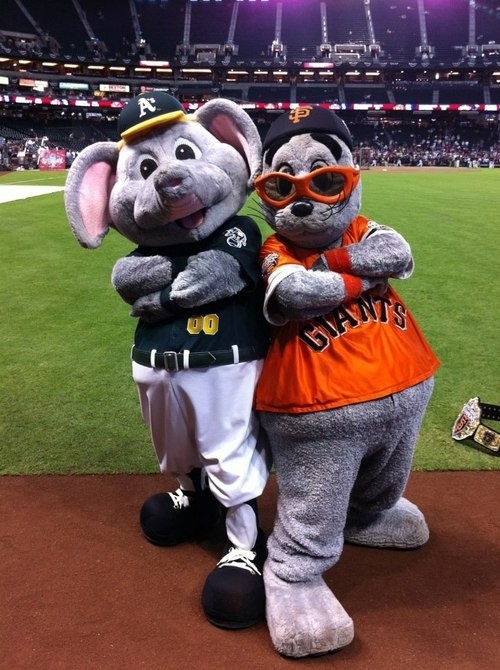 Lou Seal is the one Giants fans love. The story of the San Francisco Giants’ Crazy Crab, the most outrageous mascot of them all. The 1984 San Francisco Giants were dreadful. But the team’s ill-conceived “Crazy Crab” mascot endured worse. MNFurs becomes a registered 501(c)3 nonprofit. In a matter of six years, with only the word-of-mouth advertising, MNFurs has gone from a small group of close friends and associates with a weekly meeting number of less then a dozen people to 40 to 60 people in the same room every other Saturday night. At the same time, we went from 20 to over 200 people on our mailing list. Furrycon in Rochester gets a great media spokeskitty, Zeigler Jaguar. This reporter posted on Twitter that she knew nothing about furries but had an assignment to go to a Rochester’s FurryCon. Being the friendly, helpful big cat that I am, I offered to give her the 411 on the fandom, so she’d be prepared. I figured that she’d use the stuff I said as background information, maybe one or two quotes, nothing more, since she’d meet more relevant people at the con itself. Then FurryCon decided to bar all media from attending (a very poor decision in my opinion) so this very good, very open-minded reporter had to cobble together a story based only on what she had from me and one other person. In Spanish – check here for fursuiter video. 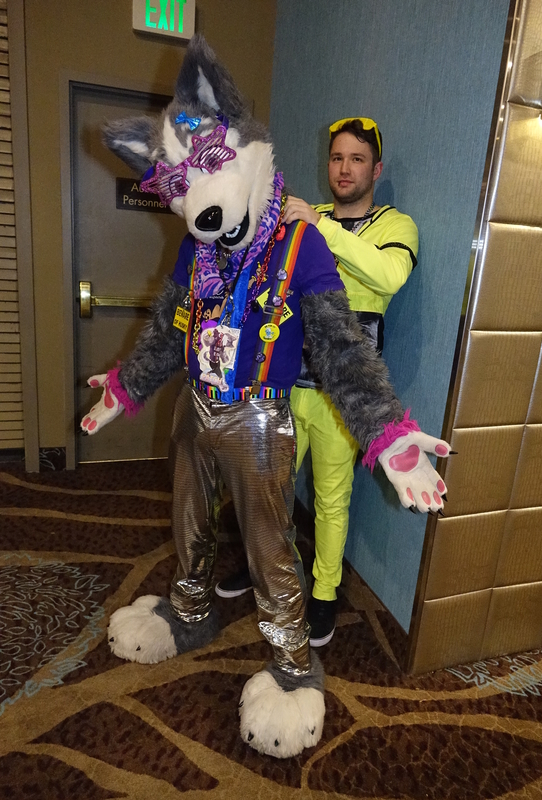 Vox supports me being outrageously sparkly at BLFC. 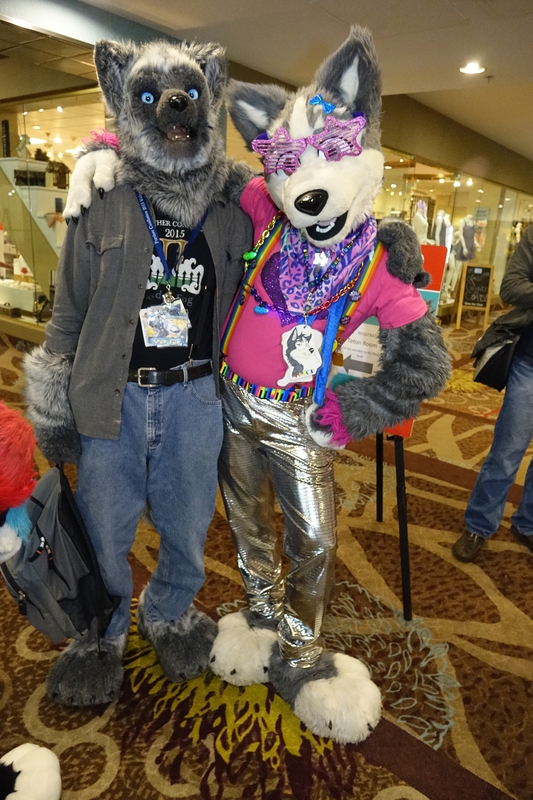 LostWolf’s fantastic BLFC photos – if you went, you’re probably in there. All 8,523 of them… and Mike Folf gives a nice look at the con’s themed propaganda. A fake blog does a fake article about Furrymate. “Adventures In Dating—Spotlight On FurryMate“. I hate this article so much I’m sharing an archive link so it gets no hits. My “Spotlight on FurFling” mentions that both sites have the same owner and users report being tricked by bots for money. You’d think a real article would notice, and go meet real people on Pounced instead. But this one’s only made up to mock. Don’t bother. North Carolina paper gives fursuiter a front page pic to represent an Anime article. The article says nothing about furries though. Stop-Mo animated “Tom & Jerry” in MacDonalds UK commercial – shared by Fred Patten. I like the approach, but give me the classic 2D stuff! Facebook’s “real name” policy provokes protest. This is probably relevant: Pass it along if you or anyone you know has been burned by this or wants to participate. Fursuits I think would especially help get us officially recognized as well. FoxCT Special Report on the wonderful world of Anthropomorphism, otherwise known as the Furry fandom. LostWolf’s astonishing pic catches Patch and Kiwi Tiger in the same room together! Thanks for the awesome video I shared before, too!